Are Your Hearing or Balance Problems Confusing Doctors? 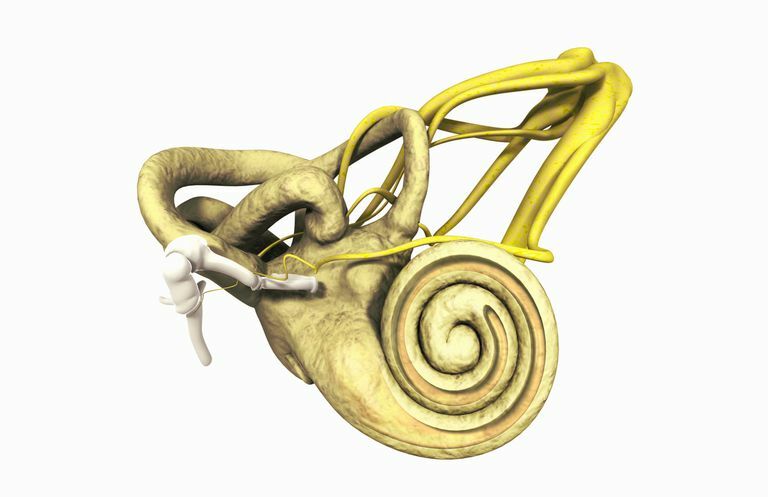 The semicircular canals are located in the inner ear. These three tiny tubes (the horizontal, superior, and posterior semicircular canals), are arranged at right angles to one another. They contain a fluid called endolymph and tiny hair cells, called cilia, which sense our movements. The semicircular canals are part of the vestibular system and function to give us a sense of balance. Semicircular Canal Dehiscence (SSCD), also called Superior Canal Dehiscence Syndrome (SCDS), is a condition caused by a hole or opening in the bone overlying the superior semicircular canal. The compromised bone allows endolymph in the superior semicircular canal to move in response to sound or pressure stimuli. Superior semicircular canal dehiscence is a rare disorder and the exact cause remains unknown. One theory is that one to two percent of the population is born with an abnormally thin bone overlying the superior semicircular canal which predisposes them to SSCD. The theory is that pressure or trauma then causes the hole or opening in this already fragile bone. This explains why the average age of diagnosis is approximately 45 years of age. However, SSCD has been diagnosed in individuals much younger than this. Another theory is that the bone fails to develop properly in utero and that SSCD is present at the time of birth. It may also be possible that the bone above the superior semicircular canal naturally starts thinning with age and then minor trauma or increased intracranial pressure can cause the dehiscence. This bone can also be damaged during ear surgery. Superior Semicircular Canal Dehiscence affects men, women, and individuals of all races equally. The exact prevalence of SSCD is unknown. Autophony - you may be able to hear your own eye movements or even your pulse. Your voice may seem abnormally loud in the affected ear. An abnormally thin bone overlying the superior semicircular canal, even in the absence of dehiscence, can also cause more mild symptoms of SSCD. It should also be noted that some people with SSCD actually experience no symptoms at all. If your doctor suspects that you may have SSCD, they may use a variety of tests to help confirm this diagnosis. Your regular doctor may suspect SSCD, but the diagnosis is best made by a physician who specializes in disorders of the ear nose and throat (an ENT or otolaryngologist). Superior semicircular canal dehiscence can be mistaken for similar disorders such as perilymph fistula, BPPV, and otosclerosis. Gait Test - your doctor will watch you walk, this helps to diagnose balance problems. Oculomotor examination - your doctor will watch the way that your eyes move to detect nystigmus. Fukuda Test - your doctor will ask you to step in place for 20-30 seconds while keeping your eyes closed. This test is used to detect vestibular abnormalities. Dix-Hallpike maneuver - your doctor will perform this test by laying you back suddenly with your head turned to the side. While doing this your doctor will observe your eyes for nystigmus. The Dix-Hallpike maneuver is used to rule out benign paroxysmal positional vertigo. Head-Shake Test - your doctor will shake your head while you are wearing special lenses. High resolution CT scan can be useful in diagnosing SSCD when performed by a skilled individual. You will want to go to a radiology center that is skilled in identifying SSCD, as it can be easy to miss the dehiscence. Even if you have a positive finding on CT, you will still need to have hearing tests to determine the effect, as a membrane (known as dura) may seal off the area making the hole insignificant. Audiometry testing typically shows low frequency conductive hearing loss although other types of hearing loss may be found. Hearing tests that may be used include: pure tone audiometry, immitance testing (tympanometry) to help rule out middle ear problems, transient evoked otoacoustic emissions and electrocochleography. Counseling is usually a good first step when considering whether or not surgical treatment of SSCD is necessary. If symptoms are not severe, some cases may be better left with coping mechanisms. If symptoms of imbalance are minor, vestibular rehabilitation may provide some benefit. However, if quality of life is impacted significantly, then surgical repair of the opening may be warranted. The two most common approaches involve plugging the hole (which closes off the semicircular canal), or resurfacing the hole (which leaves the semicircular canal intact). Both types or surgical repair requires cutting into the skull through what is referred to as the middle cranial fossa approach (or middle fossa craniotomy). While this surgery generally has good outcomes, complications to the facial nerve and relapse of symptoms may occur. Prior to any surgery it is best to discuss risks associated with the procedure with the doctor and ask more specifically about what rate his patients have had complications related to the procedure. Superior Canal Dehiscence. American Speech-Language-Hearing Association. http://www.asha.org/Practice-Portal/Clinical-Topics/Superior-Canal-Dehiscence/. Superior Canal Dehiscence. Medscape. http://emedicine.medscape.com/article/857914-clinical. Minor, LB. (2000). Superior Canal Dehiscence Syndrome. The American Journal of Otology. 21(1), pp 9-19.